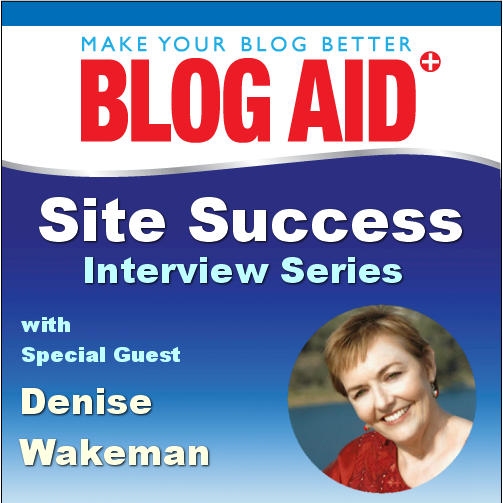 Denise and I covered a lot of ground in our chat and still just scratched the surface on the unique perspective she brings to multiple topics of how to run a successful site and online business. Below you will find a handy timestamp of our discussion, full of takeaways that will help you run a successful site too. 06:00 A domain and site for every business idea and why to consolidate it into one hub. 07:50 Clarity on how to put multiple domains to use on one site. 10:30 What it’s like to consolidate multiple domains and sites into one hub and moving our audience with you without losing traffic and SEO. 12:40 The power of an email list and how to collect addresses on your site including pop ups and giveaways. Plus, how fully responsive site designs on mobile is affecting that. 15:30 Why you need to add more opt-ins and conversion points in different places on your site due to mobile. 16:30 How comments and engagement have changed and moved to social and how that affects your opt-ins and other conversions. Plus why sending folks back to your site is critical. 19:15 Re-evaluating performance hog plugins with ROI in mind and why to move that info into the content of the post instead. 21:00 Why you must be willing to evolve and change how you do things on your site. 22:00 Tips for non-techy folks managing their own site and why it’s important to be hands on. Plus the mindset needed for budgeting site requirements as a business investment. 24:00 The importance of taking your site through a review and audit. 25:30 What it’s like to go through a site redesign process. 27:40 Why running clean and lean and secure is more important than ever. 28:40 Thinking twice about adding new shiny things to sites now, and watching closer for conflicts. 30:25 Why not to outsource everything on your site and completely hands off. Plus, how having some knowledge of what’s happening on your site helps you vet your outsource person. 35:00 Where not to scrimp on business investment and finding folks you trust to help you vet your choices. 37:00 Hiring specialist vs. generalists to help you. 39:00 What Denise would do differently if she had to start all over today. 42:00 The importance of being willing to change and adapt. Great interview! It amazes me when I met Denise in person last year I thought to myself – I’ve been following you online since 2004. Longevity is cool and creates knowledge that can’t be acquired any other way. No kidding Paula! There is just no substitute for actually doing it for years and getting a perspective on what works and what doesn’t. And I met Denise for the first time live last year too.